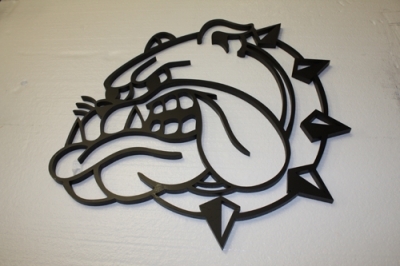 Metal Logos! 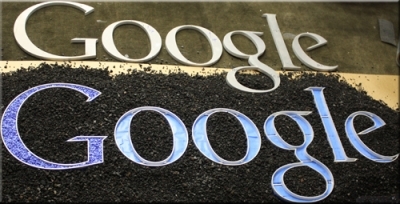 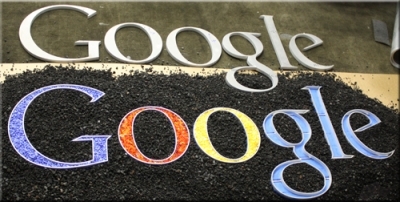 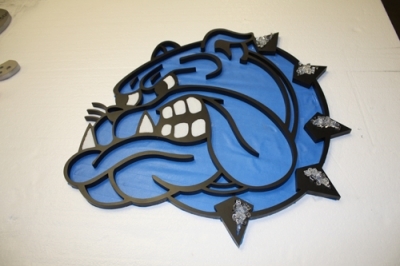 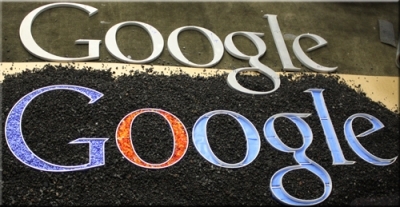 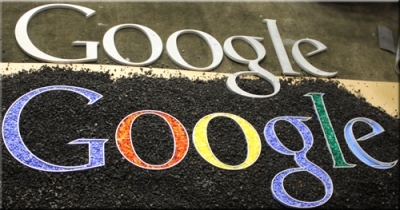 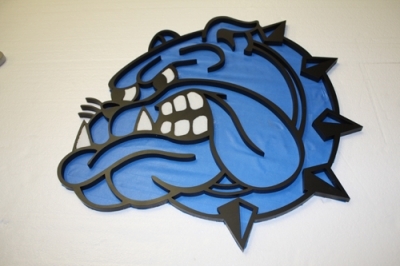 We can create any logo in any size or design! 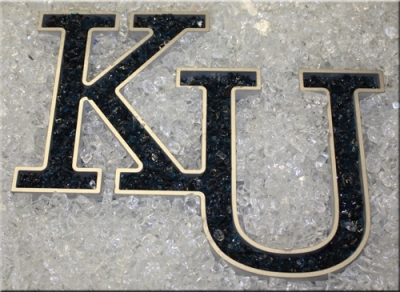 Place your colors in our awesome frames and your set! 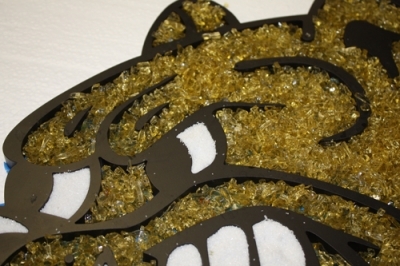 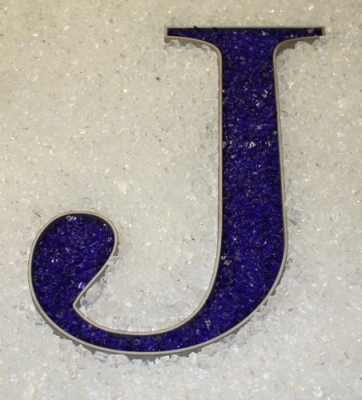 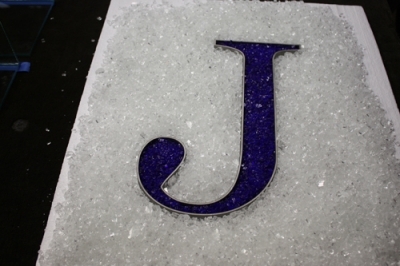 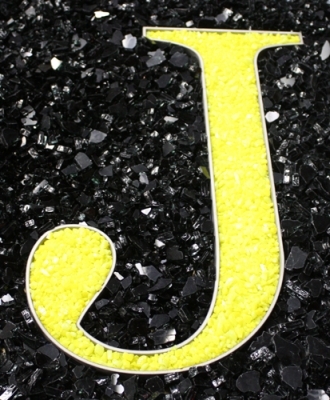 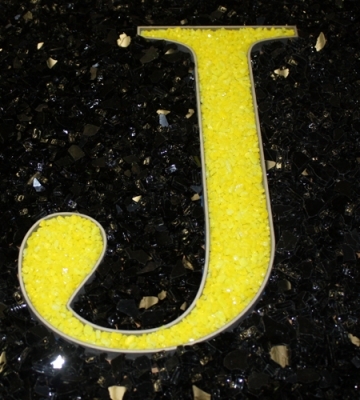 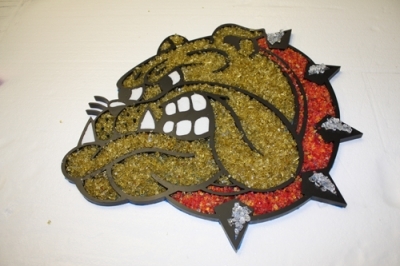 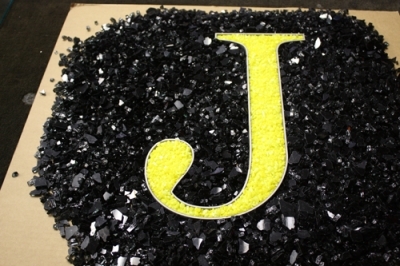 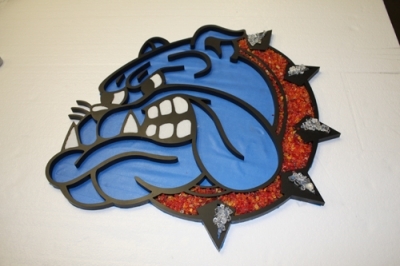 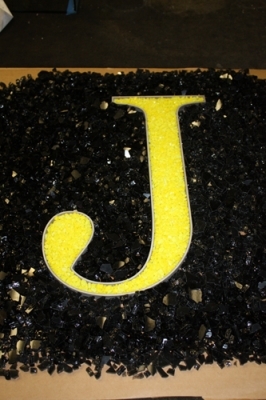 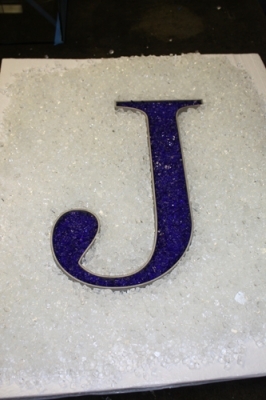 You can use any of our Toppings to accent the interior or exterior of your Logo or Name! 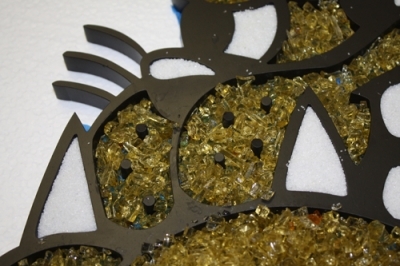 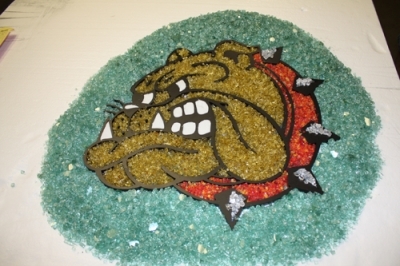 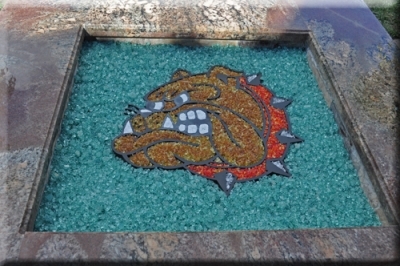 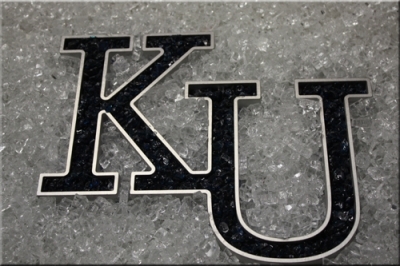 Put this in your fireplace or fire pit with FireGlass in any color! 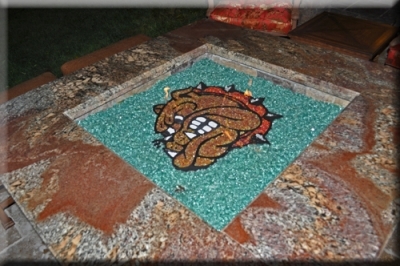 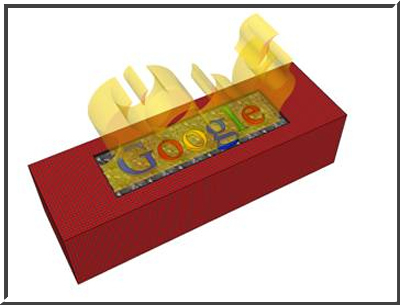 The first one of many we have created we will soon enough have pictures following with it installed burning. 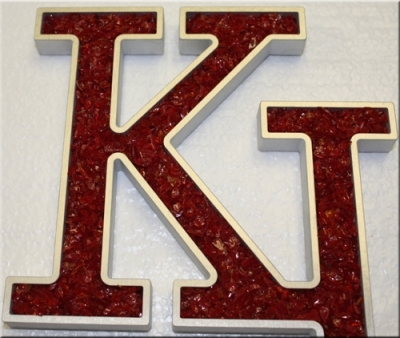 The customer chose one of our Lipstick Reds for a center accent. 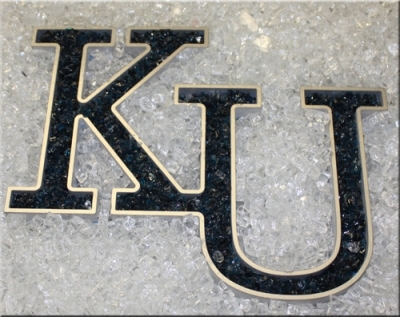 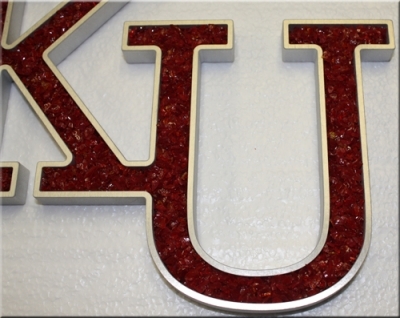 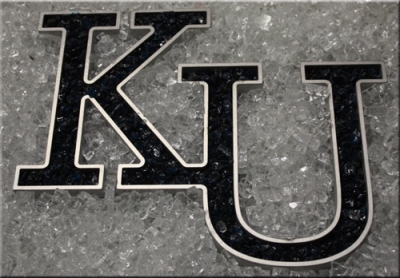 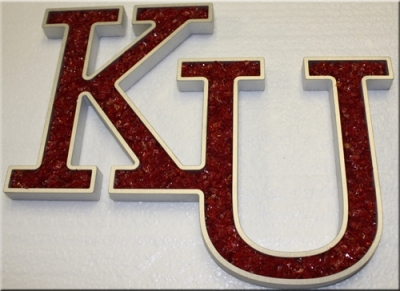 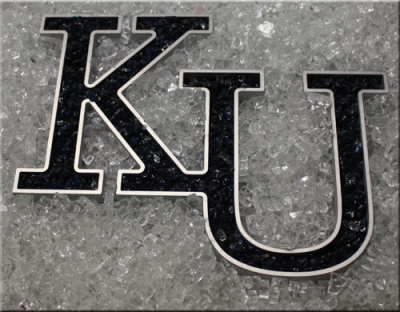 The overall size of this "KU" was 6" wide x 9" tall.